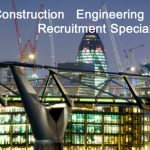 My client is a customer focused Principal Building Company based in North West London, providing design & build construction management for prime residential & commercial properties. It is their philosophy that they offer a quality product in a timely fashion giving the customer a personalised service. Are you innovative and looking to improve continuously? Are you a positive and personable person that leads by example? They are looking for a Quantity Surveyor with a minimum of 2 years’ experience working as a Quantity Surveyor position in a construction background.